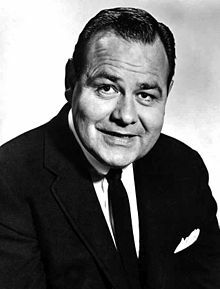 Jonathan Winters (11 de novenbre 1925 – 11 de april 2013) el xe 'nator merican. ↑ Megan Buerger. «Jonathan Winters, comedian behind memorable characters on late-night TV, dies at 87», 15/04/2013. ↑ Ann Oldenburg. «Comedian Jonathan Winters dies at 87 - He was inspiration to many contemporary comics.», USA Today, 12/04/2013. URL consultato in data 08/07/2016. - Archive of American Television. Ultimo canbiamento de sta pagina el 9 luj 2016 a ƚe 00:03.